Founder of narrative medicine to speak on how the humanities can improve medical practice, Oct. 15, in Washington, D.C.
WASHINGTON, D.C. (September 4, 2018) — Rita Charon, scholar, physician, and originator of the burgeoning field of narrative medicine, will deliver the 2018 Jefferson Lecture in the Humanities. The lecture is the highest honor the federal government bestows for distinguished intellectual achievement in the humanities. The National Endowment for the Humanities (NEH), a federal agency created in 1965, selects the lecturer through a formal review process that includes nominations from the general public. NEH awards more than $120 million in annual grants that support understanding and appreciation of cultural topics including art, ethics, history, languages, literature, law, music, philosophy, religion, and others. The Jefferson Lecture in the Humanities is the agency’s signature annual public event. Charon will deliver the lecture, titled “To See the Suffering: The Humanities Have What Medicine Needs,” on Monday, October 15, at the Warner Theatre in Washington, D.C., at 7:30 p.m. The lecture is free and open to the public and will stream online at neh.gov. Tickets to the lecture are free of charge and distributed on a first-come, first-served basis. Tickets will be available starting on Wednesday, September 19, at www.neh.gov or (202) 606-8340. 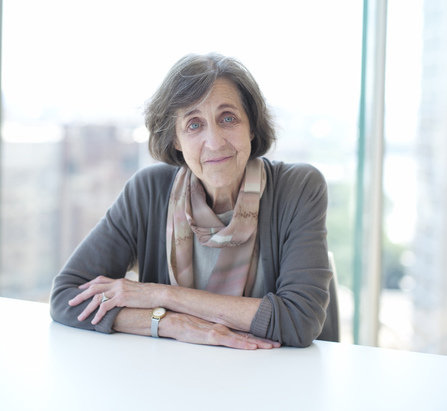 A Harvard-trained physician with a PhD in English literature, Charon is the founding Chair and Professor of Medical Humanities and Ethics and Professor of Medicine at the Columbia University Irving Medical Center. The new department is home to the discipline of narrative medicine, which seeks to improve patient care by putting the act of storytelling at the heart of medical practice. Medical students and health care professionals in the program learn from models of literature, creative writing, and literary theory how to elicit and interpret patients’ stories in order to treat the whole person. The practice of narrative medicine, Charon has said, helps health care professionals develop a tolerance of uncertainty, improves the functioning of health care teams, decreases professional burnout, and deepens understanding between patients and their doctors. “To talk with a seriously ill person about his or her near future brings both conversationalists straight toward what it means to be alive,” Charon wrote in 2017. Her work in narrative medicine has been recognized by the Association of American Medical Colleges, the American College of Physicians, the Society for Health and Human Values, and the Society of General Internal Medicine. Charon is the recipient of a Rockefeller Foundation Bellagio Residence and a Guggenheim Fellowship. Her work has also received support from the National Endowment for the Humanities. A 2003 NEH grant supported curriculum development by Charon and her colleagues, who explored the potential benefits of bringing literary and creative processes to medical education. A general internist who has practiced primary care medicine at Presbyterian Hospital in New York City, Charon teaches at Columbia University in both the Vagelos College of Physicians and Surgeons and on the Arts & Sciences campus. She is the author of Narrative Medicine: Honoring the Stories of Illness (Oxford University Press, 2006), co-author of Principles and Practice of Narrative Medicine (Oxford University Press, 2017), and co-editor of Psychoanalysis and Narrative Medicine (SUNY Press, 2008) and Stories Matter: The Role of Narrative in Medical Ethics (Routledge, 2002). She completed an MD at Harvard in 1978 and a PhD in English at Columbia in 1999, concentrating on the works of Henry James. NEH’s Jefferson Lecture is the Endowment’s most widely attended annual event. Past Jefferson Lecturers include Martha C. Nussbaum, Ken Burns, Anna Deavere Smith, Walter Isaacson, Martin Scorsese, Wendell Berry, Drew Gilpin Faust, John Updike, Henry Louis Gates, Jr., Toni Morrison, James McPherson, Barbara Tuchman, and Robert Penn Warren. The lectureship carries a $10,000 honorarium, set by statute.